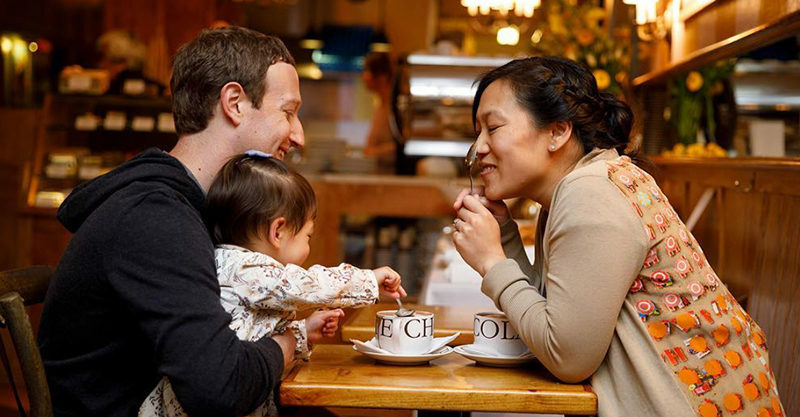 Mark Zuckerberg says paid parental leave is: "good for the entire family"
Mark Zuckerberg and wife Priscilla Chan are expecting a baby girl, and the Facebook founder took the opportunity to speak out about just how important paid parental leave is to mums, dads and their kids. The BBC reports that the “US is the only developed nation in the world that does not provide some type of national paid family leave plan to new parents,” so Facebook’s vocal push for better leave provisions for families really matters. Facebook offers four months of paid leave for new parents, with mums and dads getting the same rights to time off with their newborn. Mark says spending those early days with his first daughter Max confirmed just how special and valuable this time away from work is. “When Max was born, I took two months of paternity leave. I will always be grateful I could spend so much time with her in the first months of her life,” Mark said in a recent Facebook update. One of my favorite shots on top of a huge healthy glacier in Alaska with a pregnant Priscilla a couple weeks back. The dad-of-two says he’ll be structuring his time off with family a little differently the second time around. Priscilla and I went on our first date at Burdick's for hot chocolate almost 14 years ago. Now we have a daughter who drinks our hot chocolate for us. The Facebook boss is keen to influence other US employers – and possibly President Trump – to lift their game when it comes to paid parental leave, noting that a family-friendly approach pays big dividends all ’round. He’s spot on regarding the research, because paid parental leave has been linked to better breastfeeding outcomes, better physical and mental health outcomes and increased job satisfaction for the mums and dads involved. Facebook has introduced other sensible leave entitlements too. Employees are entitled to 20 days paid leave when an immediate family member dies. They can also take up to 6 weeks paid leave to care for a sick relative. On top of that, Facebook just introduced an extra 3 days of paid leave for “family sick time” – so parents don’t use up all their own sick leave when their kids are ill.
Here’s hoping other US companies follow suit – and that Facebook continues to increase leave provisions in this family-friendly way. In Australia, eligible parents can access a government funded paid parental leave scheme. It allows for a primary carer to receive 18 weeks pay at the averaged-out National Minimum Wage following the birth or adoption of a baby.